Why Lollipops Playland and Cafe is special ? 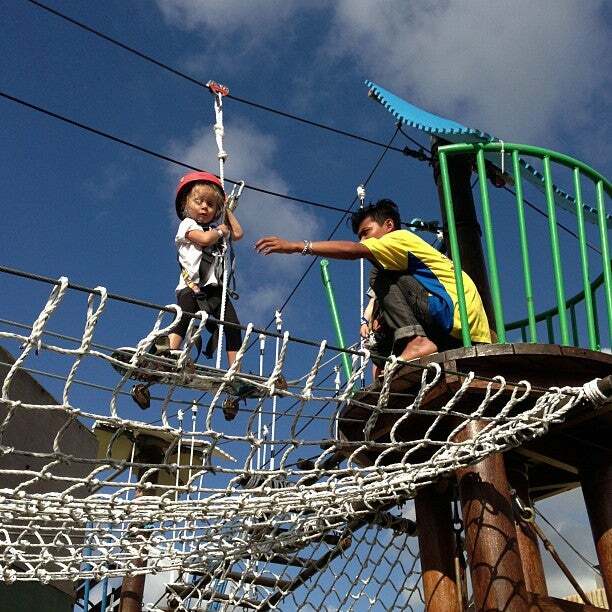 Lollipop Playland And Cafe is the latest play space in Bali. This indoor playground is ideal for the wee ones as they splash in the water, climb on the jungle track, jump on the trampoline or try their luck fishing in the pond. Lollipop provides loads of adrenaline rush to the kids with a great range of bouncy equipment. Lollipop's colorful indoor gym space is fully-padded so kids can climb over, roll-on, jump down, creep, crawl through or slide in safely. No doubt that by the end of the day your kids will end up in the water park, so bring your bathing suit! It's perfect for a rainy day activity or if you just need a break. They have free WiFi for the parents, if you feel like hanging around. Lollipop's has a large party room and offers birthday packages or themed parties such as pirate, princess, mermaid, fairy or cowboy, for your little one. 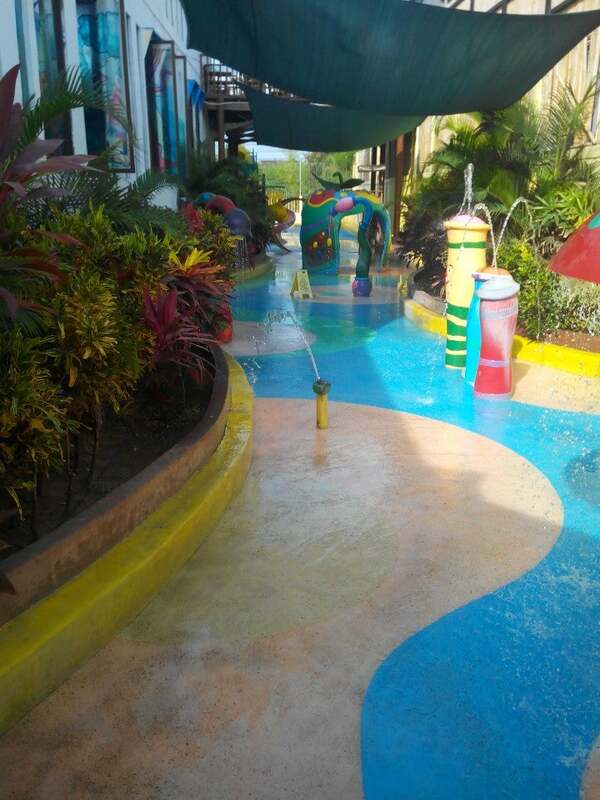 What to explore at Lollipops Playland and Cafe? 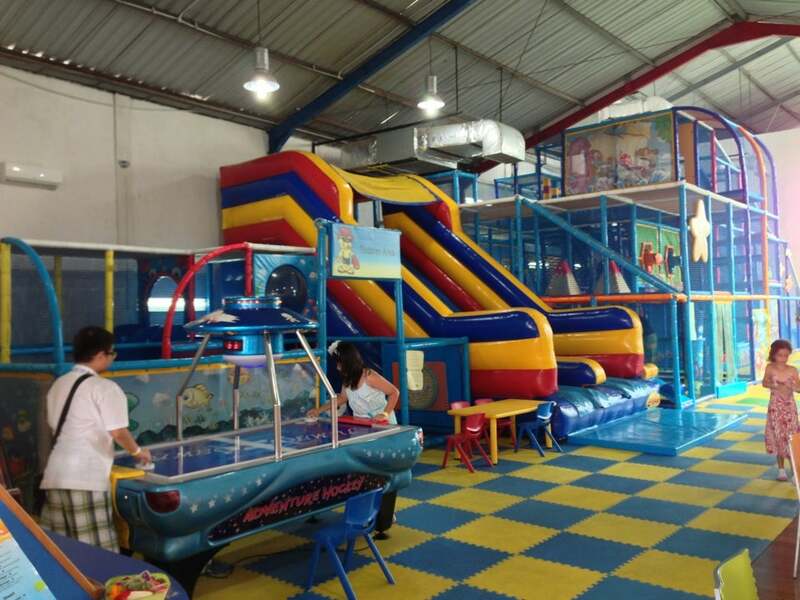 There is plenty to do and lots of fun to be had at this kiddie wonderland located on Jl Sunset in Seminyak. Inside you’ll find a dedicated toddler play area for the wee ones, and a much larger climbing, exploring, playing area for the slightly bigger ones. Giant slides, ball pitt, trampolines and ball games are on offer too. Out the back you’ll find an obstacle course with rock-climbing wall aimed at the older kids, and down the side is an outdoor water play area, so remember to pack your swimsuits for some splish splashing fun. There is a slight lack of shade in this area so don’t forget to pack your hats and suntan lotion too. The staff here are oh so lovely and they are aplenty, so it is highly likely that your charges may receive one on one attention from a sweet new Balinese friend who will help watch over them in the climbing area, supervise them on the trampolines or even slide down the giant slide with your little one on their lap. A sweet spot, where fun with a capital F is guaranteed. 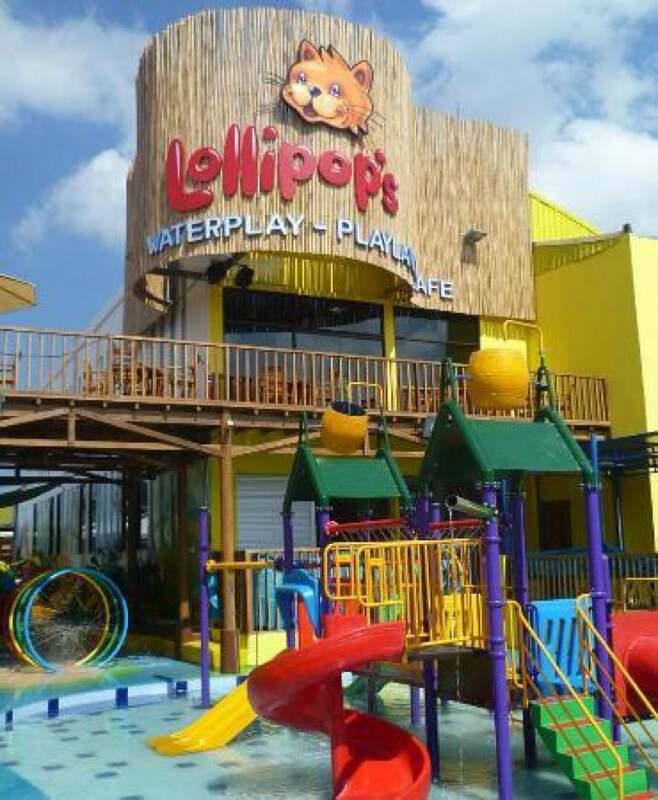 How to get to Lollipops Playland and Cafe? It takes 24 mins driving from Ngurah Rai International Airport and 22 mins from Station Kuta. You should remember to bring socks for your children. To more enjoy the outdoor playland, please bring the swimsuits, hats or suntan lotion. You should bring your camera to caught the spectacular moments of your kids. You should wear the casual outfit. There is rooftop space to make your family comfortable during accompanying the kids. 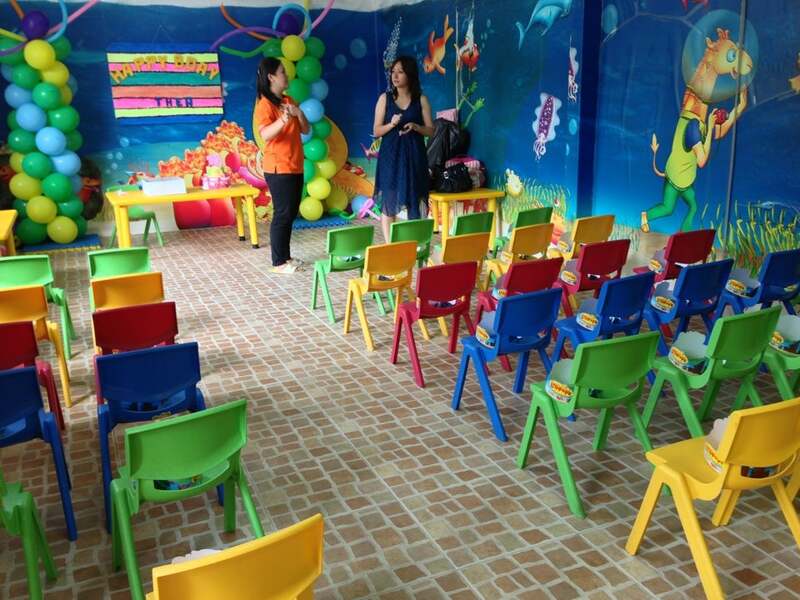 If you have a plan to make a birthday party, don't forget to book first, because this place is always full of booking on the weekend. I read the reviews and though oh what a shame. But it was raining one day and when my sons nanny arrived I asked her what she recommended we do she said lollipops, so not having a lot of choice of we went and it was great. It was huge, so much variety of things to do for little and big kids. My son is 15months old so we were in there playing with him. The staff were really engaging and playing with him too. It was perfectly safe, at one point I gave my camera to one of the staff and he followed my son around and took heaps of photos for me which I loved. It was quite muggy but the kids don't seam to mind. Also everywhere in Bali is muggy, you have to take everything in context, I'm sitting in Cafe Bali right now writing this review and its muggy too but whatever. My baby loved it we were there for hours. Weekends are the most expensive, it was 190,000 or $19AUD for a child and 2 adults on a saturday. I don't think that's expensive at all. And its cheeper during the week. Its a perfect place to spend a rainy day. We have a great pool at our villa so I'm not so interested in the water play portion but to go on a rainy day I couldn't think of anything better. I do sometimes miss being able to take my baby to a park when I'm in Bali so this is great. Ill definitely be going again. Great indoor and outdoor play space for children. I personally wouldn't recommend it for under twos as it's quite expensive and they aren't able to take advantage of all the larger games.